Beginning May 23rd we will begin a new specialty ride that will hopefully become a popular choice here every year! The New Pears Ice Cream Horseback ride is a step up from our beginner ride! 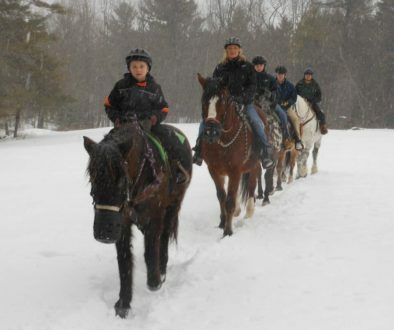 It is a 1 1/2 hour trail ride that includes a stop at Pears Ice Cream and the opportunity to trot along the trail. This riders as young as 8 years old and geared for beginners. It is $90 per person and includes an ice cream. If you’ve been on the Pears Ice Cream Horseback ride in the last 18 years this is an opportunity to put a new spin on an old favorite. If your child has been taking lessons and is ready for something a bit more challenging but they are not yet ready to give up that ice cream along the way, this new ride is just for you! Or if you and your family or friends just want to get out in the saddle a little longer but giving up the sweet treat was too much for you come give this ride a try. 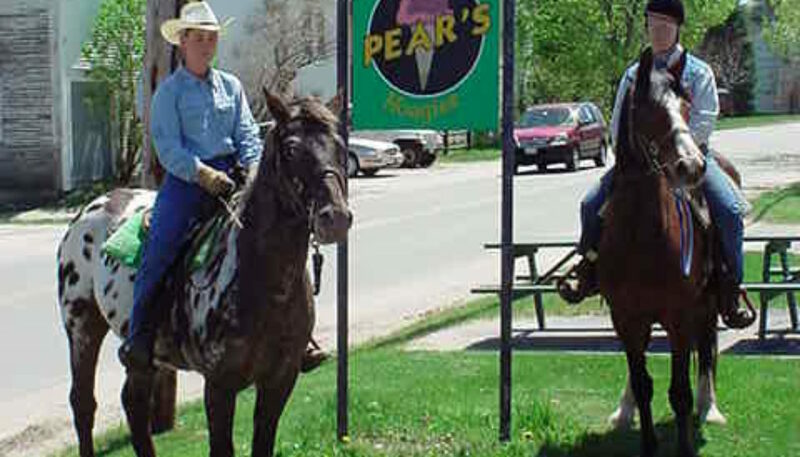 Our classic stop at the old-fashioned hitching post and a cone is the center of this Pears Ice Cream Horseback ride still. 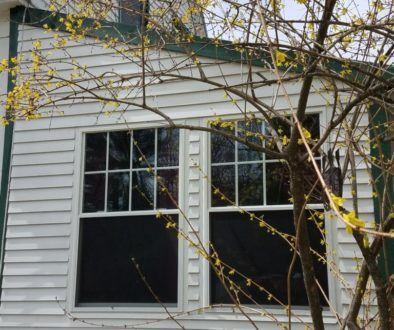 It is surrounded by two slightly different 30 min trips through fields and woods on the first trip before ice cream you will have two opportunities to trot. On the second leg after the cone and a visit to the portopotty you can trot again once for a longer period or twice for shorter periods as your comfort level and skill dictate. 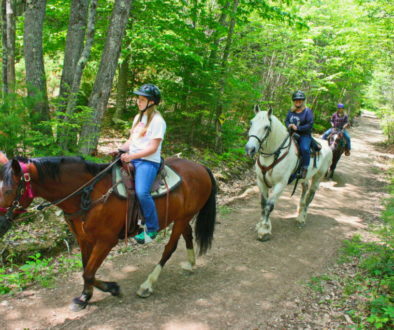 And when you’ve grown out of our Pear’s Ice Cream Horseback rides you can look into our two hour and all day rides into the 5000 acre Jugtown Forest that is protected by The Nature Conservancy. Just visit our Guided Trail Rides page to read about the ride and our other choices then use our reservation page to book your ride!